New York Times bestselling author Laura Lippman—winner of the Edgar® Award and every other major literary prize given for mystery and crime fiction—embroils Baltimore p.i. Tess Monaghan in the strange case of The Girl in the Green Raincoat. 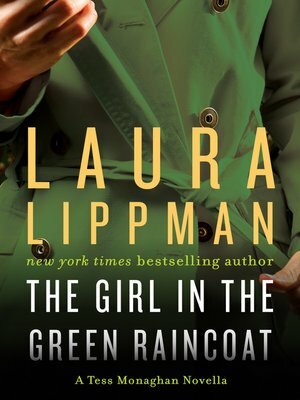 Originally serialized in the New York Times, The Girl in the Green Raincoat is now in book form for the very first time—a masterful thriller in the Alfred Hitchcock mode that places a very pregnant, homebound Tess in the center of a murderous puzzle that could cost her her life and the life of her unborn child.